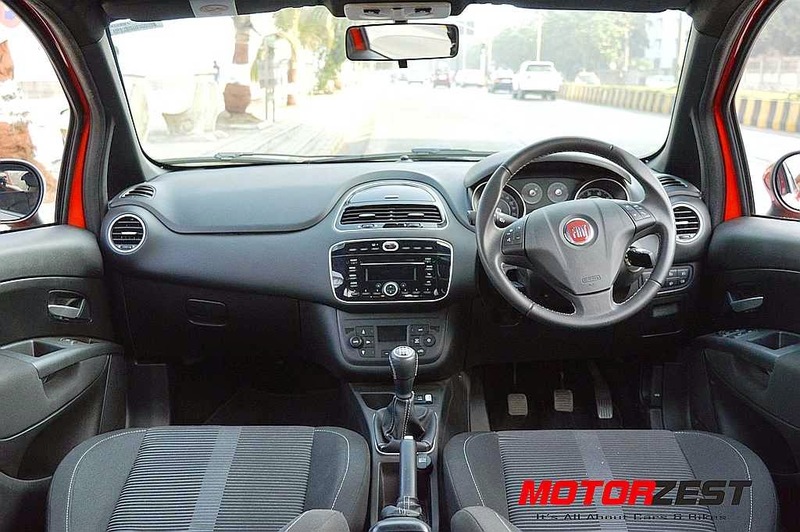 We took the Punto Evo Sport 90HP on the streets of Mumbai for a quick review and were pleased with its performance. The Sport version is priced at Rs. 7.42 lakhs (ex-showroom Mumbai). 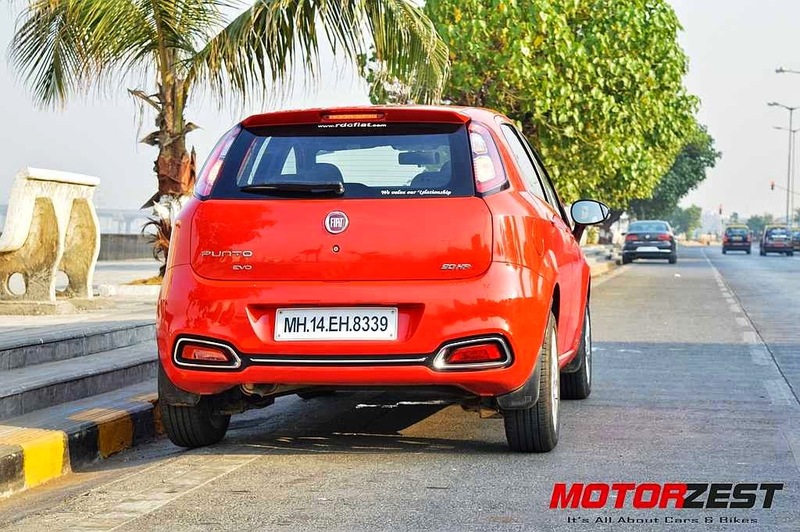 Fiat gave the Punto a refreshing new look both from the outside as well as the inside. 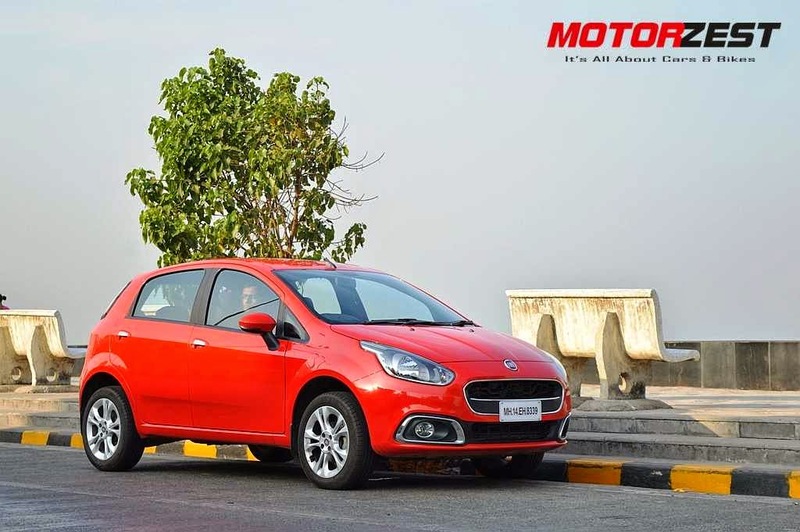 The outgoing Punto was the best looking hatchback in its segment and the new one looks even better, we just loved the entire design package. The Italians are always known for their art and the Punto Evo is another masterpiece. The Evo Sport features a full black interiors and an updated dashboard with lot of new stylish features. The centre console, steering wheel, speedo-tacho console derived from the Avventura are very well designed and the layout is just perfect. Full black theme gives it an aggressive and sporty look with good quality materials used. Although many people would like the dual-color interior trim, we found this one even more impressive. The Punto Evo is spacious from the inside and can seat 5 persons easily. The seats are comfortable with good support to the back; we drove it for more than 150 kms and there were no complaints from either the front or the rear passengers. 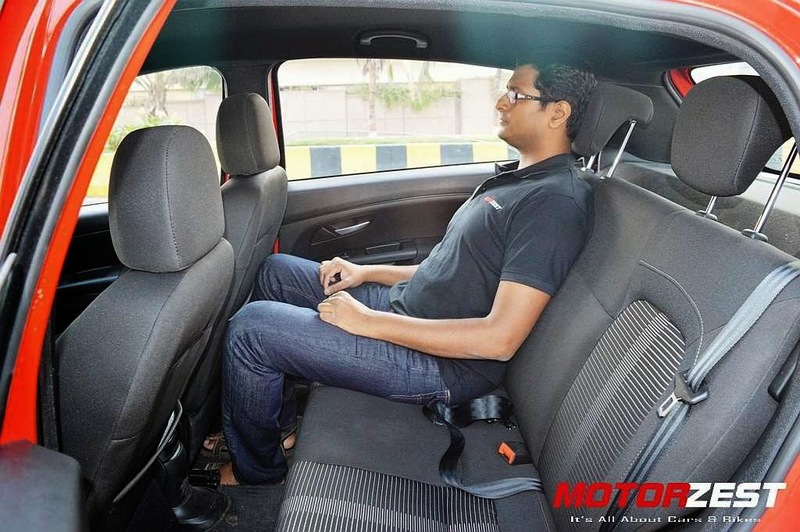 At the back there is lot of legroom and headroom even for a person who is 6 ft tall (as shown in the pic), adjustable head restraints, rear A/C vent along with a comfortable arm rest on the door makes the ride even more pleasant. The 1.3L Multijet diesel engine on this Evo, which produces 93 PS or 90 Bhp of power, is mated to a 5-speed manual gearbox which is not the smoothest of the lot and you can feel vibrations on the gear knob at higher rpm. If you are driving in a fairly crowed city road, then you will have to work hard with the gears constantly shifting up and down. The engine is sluggish at lower speeds but once you push it past 70 kmph it comes to life. We also found the engine noise fairly audible inside the car. The Punto 90HP delivered an impressive mileage of 18kmpl in mixed driving conditions. The figure would definitely go higher on highways if driven at optimum speed. 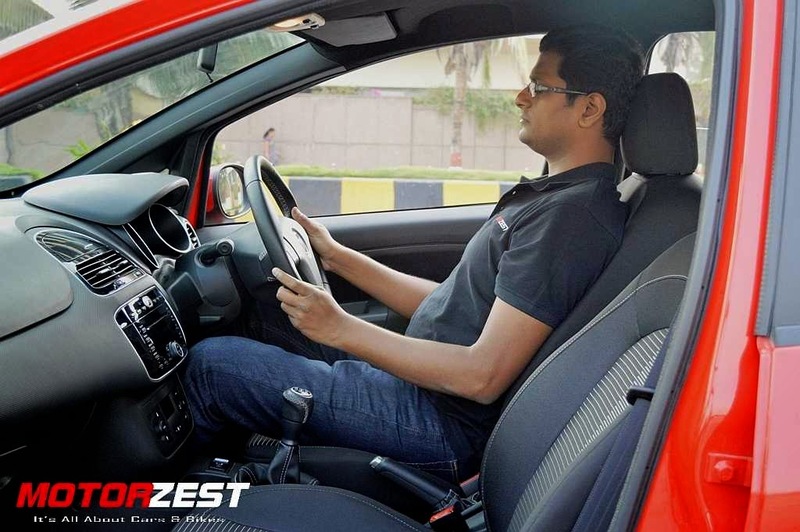 The steering wheel is a bit heavy at low speeds and gives a lot of feedback from the road. At high speeds the steering is light and precise; it is so precise that it gives you lot of confidence to aggressively attack the corners. 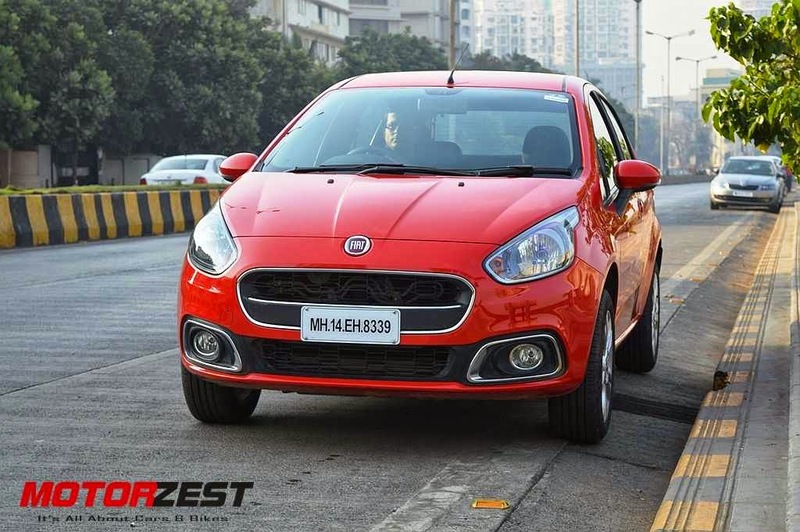 The Punto Evo is a delight to take on corners at high speeds. High speeds require good braking system and with ABS enabled the Evo’s brakes have enough bite and gives you full confidence to brake hard without locking up the wheels or making the car unstable. The Punto tackles the damaged, uneven roads pretty well. We were very impressed with the suspension taking on the rough patches with ease. The car feels solid and in control at high speeds and even on bad roads thanks to its well built chassis and suspension. Overall the Punto Evo Sport impressed us with its built quality, ride quality, performance at high speeds, stability and premium interiors. Looking forward for more hatchbacks and sedans reviews. Really a good job keep up the good work . The more you get used to car manuals of cars Fiat is the more it gets easier and less expensive. Because you wont be spending money on mechanic shops anymore.